and will be here as ’til men stop sinning. and I’m viewed differently from heaven. 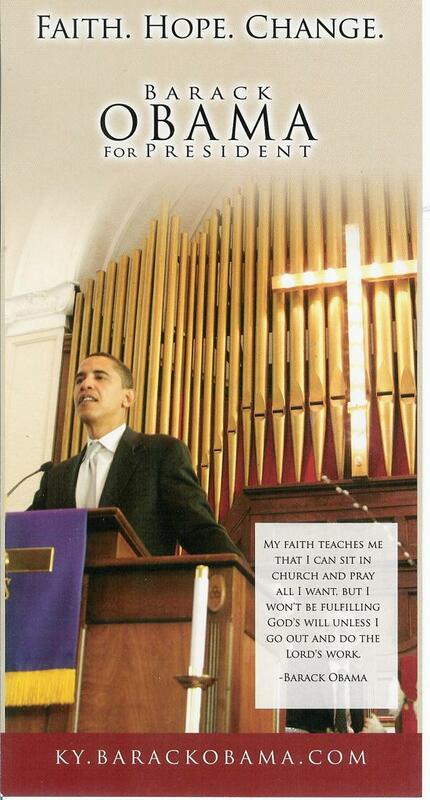 Is Obama a Christian Fraud? “WASHINGTON, D.C., January 6, 2009 (LifeSiteNews.com) – The increasingly notorious lack of church involvement or public religious observance by the United State’s First Family has led one Christian organization to question the level of dedication President Obama truly feels to the religious identity that once lent such appeal to his campaign image. “After attending church regularly during the 2008 Presidential campaign, Obama has not attended church on a regular basis since being elected President and has yet to find a church home. Obama, while vacationing in Hawaii over Christmastime, failed to attend any religious services with his family; neither did he attend during Christmas in 2008 as president-elect. For the whole article, including Obama’s disregard for Christian sensibilities in the White House, click here. The picture to the right is the way “Candidate Obama” wanted Americans to perceive him but his first year as a president seems to suggest fraud.